Stoner HookupsMeet local 420 lovers for fun or romance! 420 Dating Site for Marijuana Lovers! 2016 was an exciting election year for marijuana activists in the United States. Seven US states in total legalized marijuana in some form – either recreationally or medically. Jaws hit floors all over the nation when we saw the rise in support for the legalization of marijuana. Ending the prohibition is well on it’s way and we couldn’t be happier! 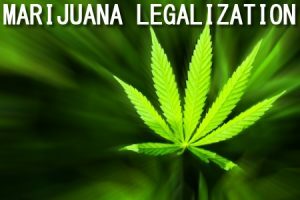 During the 2016 elections California, Nevada, Maine and Massachusetts all legalized marijuana recreationally while Arkansas, Florida and North Dakota all passed ballot measures to legalize the medicinal use of marijuana. While we revel in our HUGE historical success in bringing to light the wonders that marijuana can bring into the lives of those who use it medicinally or otherwise we still have a fight up ahead to continue the legalization process in all fifty states. So far we have 29 states behind us in our activism. We have seen an increase in enthusiastic support from people all over the world. Canada is gearing up to pass legislation legalizing marijuana in 2017. We hope that the end of the prohibition is in sight, we’re in the home stretch we just have to keep spreading the word and showing people that marijuana is in fact an amazing alternative medicine to the pharmaceutical norm and harmless for recreational consumption. Do you want to meet local stoners? View their photos, read their bios and chat online before you meet up to smoke out. Security is important to us. We installed a Comodo SSL certificate for your safety. Always look for the green bar and/or lock in your browser's URL bar. Copyright © by StonerHookups.com. All Rights Reserved. Designed by myThem.es.